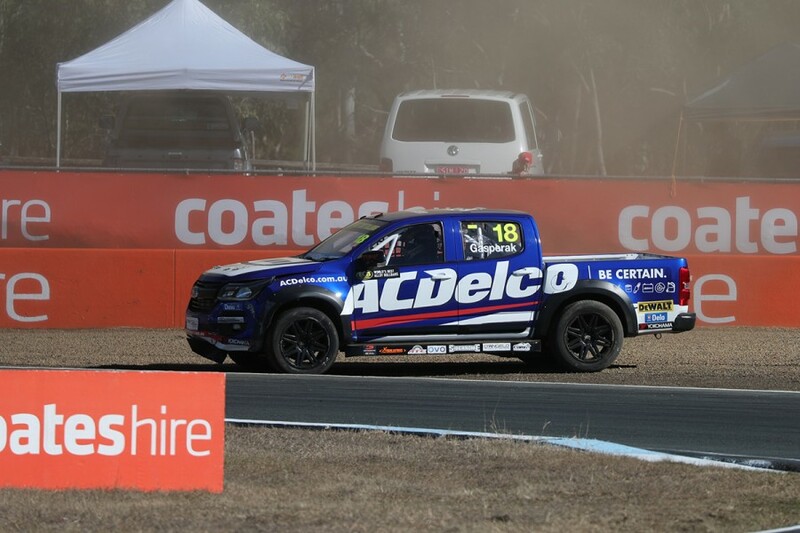 Ryal Harris continued his strong start to the fourth round of the ECB SuperUtes Series at Queensland Raceway by leading the way in Practice 2 on Saturday. Friday's fastest driver, Harris turned a 1:30.6646s to set the pace again, with Sieders Racing Team driver Matthew MacKelden his closest challenger. The EFS 4x4 Mazda driver took top spot on his first flyer and held onto the lead for the entirety of the 20-minute session. An initial 1:30.9295s from Harris set the early pace, and he lowered the benchmark two more times to ultimately finish 0.5279 seconds clear of MacKelden. MacKelden turned a 1:31.1925s in the final minute to record a personal best result of second aboard the Kubota Racing Hilux. Two more Toyotas followed, with Ben Walsh third quickest in the Car City Hilux and series leader Craig Woods in the Penrith City Toyota Hilux fourth. “I’m really happy with the improvements to the Hilux this weekend," Walsh said. Winton race victor Tom Alexander was next up in the SP Tools Holden Colorado, setting his fastest lap at the beginning of the session before being hampered by over-boosting. SuperUtes debutants Cameron Crick and Micheal Sieders occupied the next two places in the factory-backed Mitsubishi Tritons, the pair filling in for Toby Price and Craig Dontas. From MacKelden to Crick, second to sixth in the order were all covered by just over one tenth. 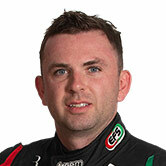 Tomas Gasperak had an off at Turn 3 in the final moments of the session, and wound up eighth. “I was carrying a bit too much brake pressure into Turn 3, I locked the rear brakes and it pitched me into the wall," the 16-year-old said. Aaron Cameron took ninth after a violent rollover in Friday's opening session, his repaired Mazda suffering rear-left locking problems in Saturday practice. “There’s still some residual damage from yesterday," Cameron said. Ford driver Christopher Formosa rounded out the top 10, followed by Steve Wilson in the Isuzu D-Max that missed the previous round in Townsville. ARMOR ALL Qualifying will commence at 12:20pm Saturday, followed by the opening race at 2:40pm on Saturday afternoon, as part of the Coates Hire Ipswich SuperSprint.